The year 2017 clearly was Rajkummar Rao’s year and it felt like he had finally arrived. It seems like 2018 is just as good as the last one. The actor, who starred in several films, won accolades for his performances in Newton and Bareilly Ki Barfi. With Omerta and three other films this year, the actor is just basking in all the glory. Just earlier this month, it was reported that Rajkummar has signed Dinesh Vijan’s comedy flick, Made In China. He will be seen as a struggling Gujarati businessman who travels to China to get his business started. Now, we hear TV actress Mouni Roy has been roped in opposite him. 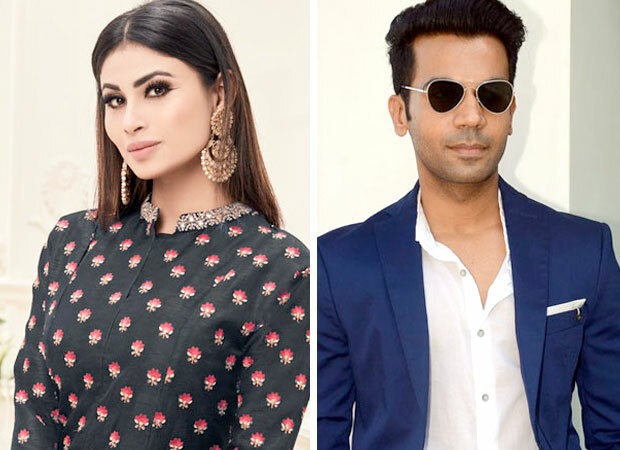 According to the sources, Mouni Roy has been reportedly roped to star opposite Rajkummar Rao in the film. While it is unclear what role she is essaying, it is clear that the actress has reportedly bagged her third major film. Mouni Roy has already signed two films and with Dinesh Vijan’s comedy flick, she is set to make the audience laugh with her comic timing. Mouni Roy, on the work front, regained her fame as a TV star with Ekta Kapoor’s Naagin. She was already a TV star when she made her debut in Smriti Irani’s Kyunki Saas Bhi Kabhi Bahu Thi. Now, Mouni Roy is all set to make her debut with Akshay Kumar starrer Gold. She has bagged her second film – Brahmastra starring Ranbir Kapoor and Alia Bhatt in the lead. Meanwhile, Rajkummar Rao is busy with the shooting of Prakash Kovelamudi’s Mental Hai Kya with Kangana Ranaut in London. He has three films this year- Fanne Khan, Stree and Ek Ladki Ko Dekha Toh Aisa Laga. Rajkummar is also set to reunite with his girlfriend Patralekhaa on Hansal Mehta’s next film, Swagat Hai. He is also starring in Luv Ranjan’s next production. Race 3 actor Saqib Saleem cast as the Villain in Dabangg 3 opposite Salman Khan?